Sandblasting can be used to assist on a variety of concrete projects. A highly effective method of removing surface contaminants such paint, coating and sealant, Sandblasting is also the ideal surface preparation solution. 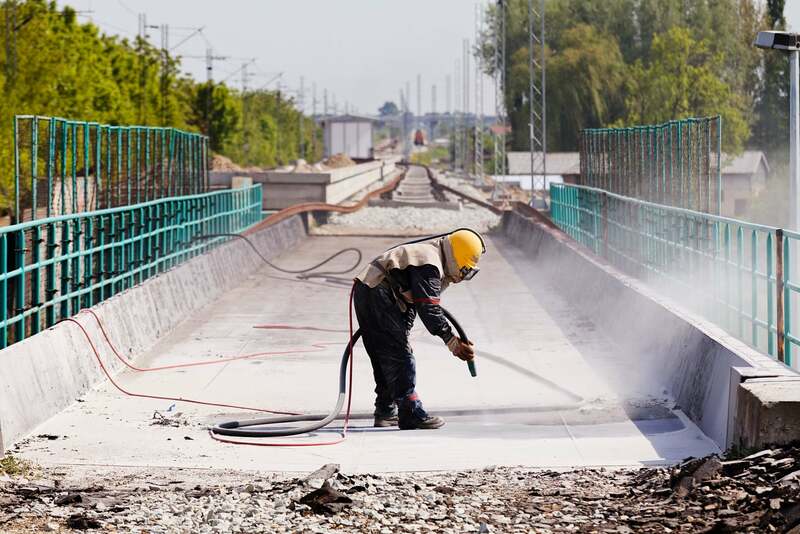 The abrasive blasting process is applied to the concrete area to coarsen or texture the profile, allowing the application of protective coating to sufficiently bond to the surface. In addition, our Sandblasting methodology is used to further expose surface aggregate. Whether its Sandblasting an under exposed concrete area to achieve a consistent and uniform finish, or applying our advanced equipment to a newly poured concrete slab for a decorative finish, VacuBlast can deliver architects, concreters and project managers their desired appearance on all projects. When you need a sandblasting specialist in Melbourne or Sydney, contact the highly skilled team at VacuBlast. VacuBlast offers a complete onsite solution for concrete sandblasting, assisting project managers, architects and property owners throughout the Melbourne and Sydney areas. Whether you need sandblasting to effectively deliver an exposed aggregate concrete finish, or to simply remove unwanted surface contaminants, our clients have the confidence of liaising with a highly dependable and skilled team dedicated to bringing value to every project. VacuBlast applies American manufactured dustless blasting equipment to all abrasive blasting jobs across Melbourne and Sydney. This wet approach is specifically tailored to onsite projects in sensitive areas where airborne contaminants need to be contained in order to avoid site disruption or plant shut down. The introduction of water into the sandblasting process significantly reduces dust by up to 95%, whilst producing 50% less mess than traditional dry sandblasting methods. By adding water, we’re also drastically increasing the mass and energy output, resulting in a solution capable of removing stubborn epoxy coating and paint. To discuss your exposed aggregate concrete needs for your corporate office, commercial building or home in Melbourne or Sydney, contact VacuBlast today on 1300 986 877.